The King of Rock and Roll has been gone for more than four decades, but his music lives forever. Millennials don’t put Elvis Presley on the same pedestal as earlier generations, so it’s worth a blogpost talking about the best Elvis wedding songs, because there are some good ones. How popular is Elvis? Well, some 382,000,000 people streamed his music on Spotify last year. But a recent poll by YouGov discovered that 29% of eighteen to twenty-four year olds have never heard a single Elvis song. He’s worth listening to because of his profound impact on music. He blended gospel, rock and roll, and the blues to create to create an impressive, distinctive body of work. Can you picture your first dance to this song? You’ll note that Elvis sang in an era with shorter songs, which is pretty good thing to consider on your first dance song. After all, your family and friends will be itching to join you on the dance floor! Whatever it is, we have all of the best Elvis wedding songs, and we’ll play it on the best equipment with clear, controlled sound. Elvis songs deserve the best, and that’s what DJ Brian Anderson provides: the best. You know DJ Brian Anderson for our wedding entertainment services. Don’t forget, we also can provide customized wedding ceremony music. This is becoming a bigger deal as more and more couples insist on custom-curated ceremony music matched to their personality, style, and religious traditions. These couples aren’t content with a simple piano or guitar accompanist. They want an orchestra or the Whitworth Hall Organ. In other words, something a little out of their budget. And yet it’s so affordable with DJ Brian Anderson , and we can play the version of your ceremony music you want. Take one of the most popular pieces used for a bride’s entrance, Johann Sebastian Bach’s elegant “Air on the G String.” Hmmm … not the most romantic title, but the music exudes the grandeur of love. Bach wrote the piece between 1717 and 1723, and it was part of a larger piece, called the “Orchestral Suite No. 3 in D major.” It didn’t receive the current title until a German violinist, August Wilhelm, rearranged it more than a century later in a way where he could play the entire melody on one, single string. You guessed it: the G string! What an elegant way to make an entrance at your wedding ceremony! The problem is, not every couple can afford a string section. What’s a normal couple with a normal budget supposed to do? We suggest that there’s no need for you to scrimp on your dreams. Let us play the version you love most using our professionally calibrated equipment that fits your space. Whether your wedding is indoors or outdoors, in a cavernous church or in an intimate setting, DJ Brian Anderson can provide the customized wedding ceremony music you select from start to finish. The sound will be crystal clear, controlled, perfect. If you want to shift gears in your ceremony and hear an appropriate love song like Shania Twain’s “From this Moment On,” no problem! Customized wedding ceremony music is just as important as customized wedding reception music. DJ Brian Anderson provides both. Your wedding dreams are our command! Zola did a survey of recently married couples to pinpoint post-wedding regrets. They learned that couples really regret scrimping on memories, especially when it comes to professional wedding videography. In hindsight, twenty-five percent wished they had spent more on the wedding videography (and 22% wished they had spent more on photography). Where couples go wrong is thinking that good ‘ol Uncle Charlie can simply videotape their event, and it will only cost them a six pack! Granted, video technology has closed the gap between a polished professional and a good amateur, but not by that much. They know how to tell your story in a finished wedding recap that friends and families will enjoy watching for years … and decades to come, as you can see in the example above from a wedding that took place in Georgia. You’ll enjoy tasteful effects, smooth edits, multi-camera coverage, and great music in the hands of a polished professional. According to The Knot’s 2017 Real Weddings Study, the average price paid nationally for a professional wedding videographer was $1912. But after the fact, according to Zola’s survey, couples wished they had spent more. After all, these are the precious memories couples want to share with future children, such as the great father/daughter dance below. Interestingly, couples also had regrets when it came to the entertainment. Ten percent wished they had spent more. DJ Brian Anderson offers great services, including decor lighting and photo booths, which allows you to create a unique event experience. In fact, the Knot survey reveals that 41% of couples include wedding guest entertainment (beyond music) as part of their wedding reception festivities. This is up from 11% as recently as 2009. So just as you shouldn’t scrimp on wedding videography, don’t scrimp on the entertainment, since entertainment makes the event. Wedding invitation etiquette hasn’t changed much over the years. But the look of wedding invitations sure has. Today’s couples are creating some wildly original invitations, but the basic etiquette remains essentially the same. Wedding invitations are getting creative! Are you getting married in town? Then send your invitations out six to eight weeks in advance. That gives most of your guests plenty of time to make arrangements and lock your event into their calendars. If you’re planning a destination wedding, better get them out a good three months before your wedding date. Increasingly, most contemporary couples send out save-the-date cards. Ideally, you’ll send yours about about six to eight months in advance of your event. Can you plug your registry info on your wedding invitations? No. Very, very tacky. And don’t put it on your save-the-date cards either for the same reason. Save it for your wedding website (which you CAN include on your invitation). That’s the perfect place to list your registry details without looking greedy, which you’re not. You’ve got two big considerations as your wedding date draws near. First, you need a headcount for the caterer, who usually wants hard numbers a week in advance. Secondly, you need some time to create your seating chart … and it does take some time. Ask your guests to RSVP two to three weeks in advance to allow plenty of time for both. Inevitably, some guests that you KNOW are coming still haven’t RSVPed. Pick up the phone and prod them before it’s too late to include them in your final planning preparations. 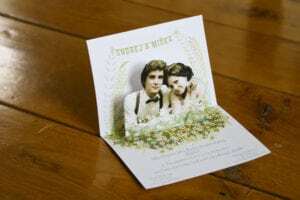 The style of your invitation will certainly signal the type of affair you’re planning. 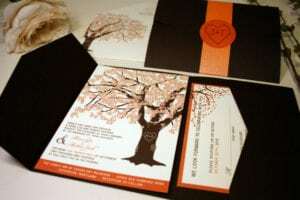 The details that go into your invitation are pretty standard, but what you do with those details can be simply amazing. Just look at some of the cool ideas on this page! For some cool entertainment ideas, you’ve come to the right place! Just check out this website, beginning with our wedding page. Popular dates book fast, so check out our availability today. Your wedding day is just the beginning. The best is yet to come! That last sentence just happens to be the name of a song written back in 1959 by Cy Coleman and Carolyn Leigh. The song is so good that The Knot lists it as the 39th best first dance song. You know, 39th is awfully darn good when you consider the thousands of songs from which you have to choose. The title alone makes it worthy of your consideration. When you factor in Ms. Leigh’s punchy lyrics and Mr. Coleman’s swinging tune, you’ve got the prescription for a memorable first dance. The whole concept of the song is simply beautiful. Your marriage is the start of a lifetime of shared love and commitment, complete with ups and downs. The ups are better because you’re sharing them with the person you love most in the world. The downs are more tolerable because you’re not going through them alone. Regular readers of this blog know that most of the popular classic first dance songs tend to be slow ballads. “The Best is Yet to Come” swings and allows you more latitude to cut loose on the dance floor. Here’s where things get fun: who do you want to sing this great song? Although Tony Bennett was the first to sing it, it was Frank Sinatra who really popularized the tune. You know what, though? You might want to consider the great new version Tony Bennett recorded with jazz chanteuse, Diana Krall. This song works really well as a duet, especially for a first dance. What do you think? Here’s what is great about using DJ Brian Anderson for wedding entertainment at your reception: we can play any version of the song you like best. Unlike a local band with a decent lead singer, we offer the best of the best. 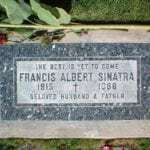 Sinatra. Bublé. Bennett. And we back it up with dazzling decor lighting that transforms your venue into an imaginative expression of your good taste. Get ready: The best IS yet to come! A public proposal seems like such a cool idea. Just think of the romance of it all! Your sweetheart will revel in all the attention as a mob of strangers applaud this beautiful moment. You’ll talk about it the rest of your lives. On the other hand, you might want to consider the downside of such a grand gesture. Did you see the recent story in the news about a flight attendant with China Eastern Airlines? It seems her longstanding boyfriend decided to propose 30 minutes after take-off, as you can see on the video below. The passengers loved it and gave them a big round of applause. This public proposal was the culmination of a fairy tale romance, and the couple lived happily ever after, right? Not exactly. The young woman clearly wasn’t ready for marriage, at least with this gentleman. She let the young man down as gently as possible, counting down the seconds until she could extricate herself from such an embarrassing spectacle. And the poor guy was humiliated. Just look at some of the basketball players trying to refrain from snickering. Not all public proposals end badly. Simply exercise caution as you plot out the details of your proposal. By the same token, exercise caution as you plan your entertainment for your event. Here’s why: Entertainment makes the event. wedding couples often lament that they scrimped on this single, critical element of your wedding celebration. With DJ Brian Anderson, you have no worries. We know how to pack dance floors and help you realize all of your wedding dreams. Unlike a public proposal, you have no downside when you go with DJ Brian Anderson. Wedding couples DESERVE a scintillating wedding toast. They are ENTITLED to a heartfelt toast that simply sparkles. That’s why we blog on the subject frequently. The most recent lousy wedding toast came from a best man to the groom. He was quite young and lacking in experience, and it showed. He immediately told us he had written down his remarks so he wouldn’t forget them. But then he proceeded to prowl the wedding party’s platform blathering about nothing much as his hands fumbled through his pockets looking for his cheat sheet, which leads to wedding toast tip #1. Write out your remarks and KNOW where you put them. After several minutes of discombobulated mutterings and misdirected quips, he turned his back to the gathered guests and fumbled through his suit coat, which he had earlier tossed on the floor behind him, giving us all an unwelcome view of his posterior. Don’t give your guests an unwelcome view of your posterior. Once he found his elusive cheat sheet, he resumed stalking the wedding party platform with his crumpled cheat sheet clenched in his left hand and the microphone in his right hand. And then something weird happened: He. Never. Looked. At. It. If you have a cheat sheet, use it. After all that fussing, he didn’t use his precious notes, but instead returned to lengthy ramblings on why he didn’t like the groom when he first met him in eighth grade. As I gazed around the banquet hall, I could see eyes glazing over. All faces sent the same message: Please, wrap this thing up, like fast! It really helps to look out at the guests to be sure you’re connecting with them. If our young toaster had done so, the blank visage adorning the face of each audience member would have been a useful motivation to him to bring his toast to a succinct, heartfelt conclusion, instead of continuing with the meandering mess into which it had devolved. So how do you give a good toast? Make ‘em laugh and make ‘em cry. And do it quickly. The longer the toast, the more likely it’s going to crash and burn in wedding reception ignominy. The shorter the toast, the more likely it’s going to be remembered, especially if the toast makes the audience laugh and cry. “Johnny may be my best friend today, but let me tell you, I didn’t like the guy at all when I first met him in 8th grade. Now my reasons were not particularly good. He’s better looking than I am. He’s smarter than I am. And he’s got a better personality to boot. Maybe that’s why he always dated the best looking girls in our class. I was kind of jealous. But then he fixed me up with this gorgeous redhead, and the rest was history! How could I not love this guy? You know what else I grew to love about this guy? He saw something in me that I didn’t see. He embraced me as a friend, and frankly, made me into a better person. He’d give me the shirt off his back, and he has in a variety of ways. Jenny Sue, I’m not telling you anything you don’t know, but you just married one heckuva human being. And so did he. You two deserve each other. You are special, the perfect complement to a very special guy. I can honestly say that I am delighted that I am no longer Johnny’s best friend. That honor belongs to you, Mrs. Smith. You make my best friend so very happy. A minute-and-a-half. You don’t have to be long-winded to make a beautiful wedding toast. Be sure to forward this blog to your best man and maid of honor. And as you plan your wedding celebration, remember entertainment makes the event. Be sure to check out all of our wedding entertainment services: DJ; lighting; photo booth. You’re going to fall in love with them! The average wedding budget is $33,391. Obviously, it varies dramatically depending on where you live. San Francisco and New York City will be a lot higher than an Alabama wedding. Regardless of where you live, you can experience a great wedding for less if you heed the advice of brides who lamented that they overspent on their weddings in the wrong places. This is really helpful advice. It comes from Zola who surveyed 750 couples after their wedding celebration had come and gone. The bills had all come due, and they had a chance to reflect on their decisions. They had some regrets. DJ Brian Anderson believes EACH of these areas are important. But you can learn from couples like you who realized when all was said and done, they didn’t need to spend as much as they did on these areas. A few reactions on finding the sweet spot for the average wedding budget: flowers and decor made both lists. Keep your emotions in check when planning your decor. Purchase only the quantity of flowers you really need. By the same token, if you’re not particularly artsy, don’t overly scrimp, because the tasteful use of flowers can make your event so beautiful. The last bullet is really important, because entertainment makes the event. When dance floors are packed all night long, like DJ Brian Anderson will do, the fun is so contagious that couples wish they had more photography and videography on hand to capture it. This is what matters after your event has come and gone: couples want to relive the fun created by a great DJ. And they wished they had a little more wedding planning. We offer planning tools that can help on that score as well. There’s no need to have wedding regrets when you select DJ Brian Anderson. I love a good song. Why do you think I started DJ Brian Anderson? A good song makes people happy, or moves them in some sort of profound way. That’s why we’ve written a number of blogposts on favorite songs for a first dance. In today’s post, let’s take a look at some lesser-known, untraditional first dance songs. To come and dance with me. Ben Folds wrote a tender love song you may not know called “The Luckiest.” It’s a lovely song defined by Folds’ strong piano playing and wistful vocals. The a cappella treatment isn’t for everyone. But then again, that’s what defines untraditional first dance songs. They’re not for everyone. But it might be right for you. But the message of a flawed man finding love is timelessly appealing. Yes, there are timeless classic songs that will always be favorites for the first dance at weddings. But sometimes you’ve got to think outside the box and consider some untraditional first dance songs. DJ Brian Anderson has a library of thousands (and thousands!) of the best songs ever written. Want your wedding reception to rock? Check us out!